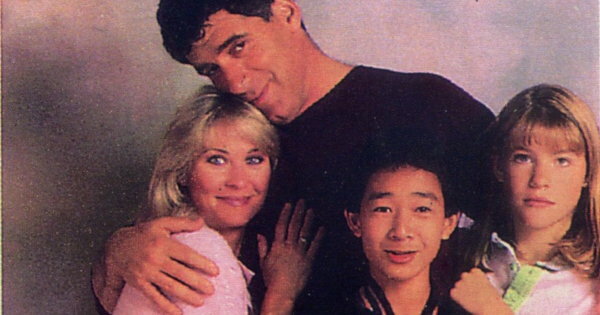 When Together We Stand premiered in 1986, it starred Elliot Gould as the patriarch of a multi-racial family with two adopted children and two biological children. CBS pulled the series after a few episodes due to low ratings. 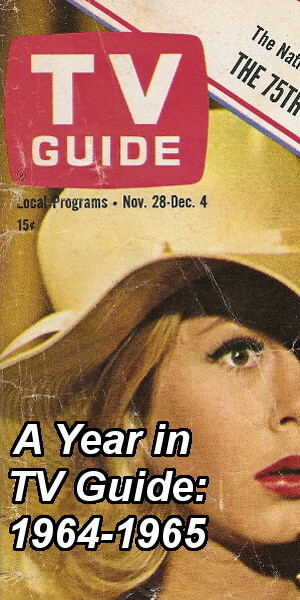 It returned months later with a new title (Nothing Is Easy) and without Gould. The new show also failed to catch on with viewers despite multiple time slots. The success of NBC’s The Cosby Show led all three networks to develop multiple comedy pilots in the mid-1980s. Together We Stand was one of 40 pilots in consideration for the 1986-1987 season; CBS alone had 18 . The idea for the series actually went back to the 1970s, when Sherwood Schwartz attempted to sell a spin-off of The Brady Bunch about a family that adopts three boys of — one white, one black and one Asian — and loves them all equally. A January 1974 episode of The Brady Bunch, called “Kelly’s Kids,” was produced as a back-door pilot but was never picked up. NBC president Brandon Tartikoff, who enjoyed betting on the success or failure of shows on the other networks, referred to the age of the concept behind Together We Stand when he called it a show that Sherwood Schwartz “had been trying to peddle for eons” . A feel-good comedy that combined The Cosby Show with The Brady Bunch (given the connection the shows share, that’s hardly surprising), the series starred Elliot Gould and Dee Wallace Stone as David and Lori Randall, a loving couple trying to start a family. Told they couldn’t conceive naturally, the Randalls decided to adopt. They soon found themselves the parents to a girl named Amy (played by Katie O’Neill). And then, completely by surprise, they somehow managed to have their own, completely natural son, Jack (played by Scott Grimes). The couple assumed their family was complete. After noticing how well the Randalls had integrated an adopted and natural child into their household, an adamant social work convinced David and Lori to adopt two more children. Sally was African-American and six years old and Sam was Vietnamese and fourteen (Amy and Jack were sixteen and fourteen at the time of the additional adoptions). Wow, thanks for your feature on “Together We Stand”. 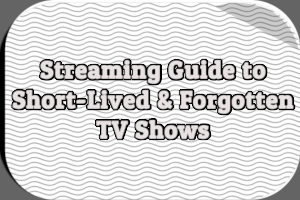 It’s very comprehensive compared to most of the things I’ve managed to find about the show. Although I am fairly certain that it will never air again, I am nonetheless grateful that you have taken the time to do a section on it. It’s made my day! Thanks! The addition of Sally and Sam on the Randall household caused more than a few problems and not just for the parents. Amy and Jack weren’t happy about sharing their parents with more kids and there were cultural differences as well. Episodes would revolve around the antics of the children as they tried to get along at home and at school as well as the parents as they dealt with their expanded family. When CBS announced its schedule for the 1986-1987 season, Together We Stand was given the 8-8:30PM slot on Wednesdays, leading off the evening . It would be followed by another new series, Better Days, then Magnum, P.I. and The Equalizer. Its competition on the other networks consisted of Perfect Strangers on ABC and the first half-hour of Highway to Heaven on NBC. Tom Shales of The Washington Post noted that although the setup was “badly manipulative” the series was nevertheless able to “transcend the gimmickiness of the situation and get the maximum number of funny and tender moments out of it” . John J. O’Connor was less positive, writing that “the show has its requisite quota of little lessons” that were done better by The Cosby Show . CBS broadcast a special preview episode of Together We Stand on Monday, September 22nd from 8:30-9PM. The episode drew a 17.1/26 rating, losing only a small portion of its Kate & Allie lead-in and ranking 24th for the week [6, 7]. A second preview episode, aired in the same time slot a week later on September 29th drew an 18.1 rating and ranked 23rd for the week, again losing a portion of its lead-in . CBS had to be concerned that its share of the audience dipped during the two preview episodes of Together We Stand, despite the fact that they aired between Top 20 hits Kate & Allie and Newhart . Sure enough, ratings for Together We Stand dropped dramatically when it moved to its regular Wednesday time slot two days later. For the evening of October 1st, 1986 as a whole, CBS ranked third: Together We Stand opened with a 10.0/17, Better Days a 9.7/16 and a special two-hour Magnum, P.I. could only muster a 15.4/25, due in part to the weak performance of its lead-in . The Wednesday episode of Together We Stand plummeted to the bottom of the weekly Nielsen chart, ranking 68th out of 72 shows . 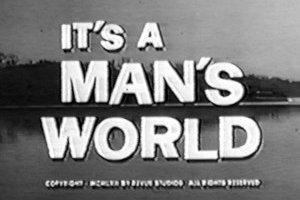 On October 21st, CBS announced several programming changes, placing Together We Stand and The Twilight Zone on hiatus while canceling Better Days . The October 29th episode, the sixth episode overall, would be the last broadcast before the hiatus. In mid-October, it was reported that Elliot Gould would not be returning when Together We Stand rejoined CBS’s schedule and his character would be killed off . The series was also retitled Nothing Is Easy. CBS made major changes to its Sunday line-up in January 1987, giving Nothing Is Easy) the 9:30-10PM time slot following Designing Women . Together We Stand was not the first series to be drastically retooled in an attempt to boost ratings or to replace a departed star. ABC’s Burke’s Law was revamped as Amos Burke, Secret Agent in September 1965 for its third season, which turned out to be its last. NBC’s Spencer was pulled off the air in January 1985 after just six episodes when star Chad Lowe left; it returned a few months later as Under One Roof and was soon cancelled for good. In Nothing Is Easy, the Randall family faced life without patriarch David. Lori returned to work and school, studying to become a stenographer. 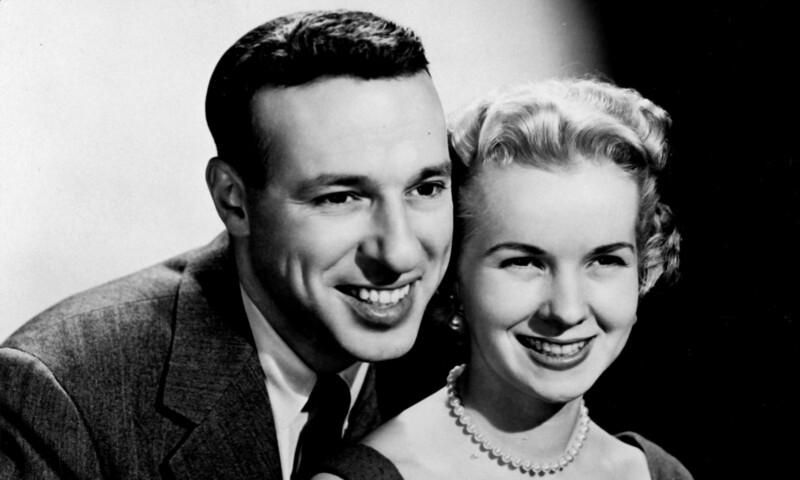 Joining the cast was Julia Migenes as bitter divorcee Marion Simmons, who lived next door to the Randalls. In the first episode of the revamped series, the adoption agency that placed Sam and Sally with the Randalls reconsiders its decision in light of due to David’s passing. Airing opposite “The Two Mrs. Grenvilles, Part 1” on NBC and “Romancing the Stone” on ABC, Nothing Is Easy drew an 11.4 rating and ranked 60th for the week, while Designing Women did slightly better with a 14.5 rating, ranking 44th for the week . By comparison, “The Two Mrs. Grenvilles, Part 1” had a 23.4 rating and “Romancing the Stone” a 20.5. The following week, opposite “Amerika, Part I” on ABC and “The Facts of Life Down Under” on NBC, Nothing Is Easy fell to a 10.0 rating and ranked 67th for the week . In the face of stiff competition from ABC and NBC, CBS made major changes — again — to its Sunday lineup in late February, bringing back the Sunday Movie and placing Designing Women and Nothing Is Easy on hiatus . Only two episodes were aired in the Sunday time slot; the series was pre-empted on February 22nd and March 1st, and on March 8th CBS began showing movies again. Still, it was not over for Nothing Is Easy. On Friday, March 27th, the series returned in another new time slot, airing against Roomies on NBC and The Charmings on ABC. 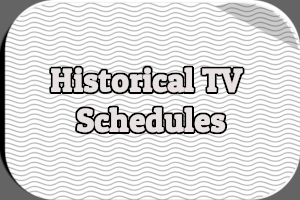 A total of five episodes were broadcast on Fridays, the longest uninterrupted stretch the series, in either of its incarnations, ever saw. Nothing Is Easy ranked a dismal third in its time slot, sinking as low as an 8.1/16 rating on April 17th . For the 1986-1987 season as a whole (September 22nd, 1986 through April 19th, 1987), Together We Stand and Nothing Is Easy averaged an 11.7 rating, ranking 66th out of 83 shows across all three networks . The final episode of Nothing Is Easy aired on April 24th and in mid-May CBS cancelled the series . In all, thirteen episodes of Together We Stand and Nothing Is Easy were broadcast by CBS over the course of the 1986-1987 season. 1 Forkan, James P. and Verne Gay. “Network sitcoms make comeback in fall schedules.” Advertising Age. 24 Mar. 1986: 1. 2 Shales, Tom. “Tartikoff’s No.1 Strategy; NBC’s Program Chief Winning but Wary.” Washington Post. 27 Oct. 1986: C1. 3 Carmody, John. “The TV Column.” Washington Post. 8 May 1986: C12. 4 Carmody, John. “The TV Column.” Washington Post. 22 Sep. 1986: C1. 5 O’Connor, John J. “‘TV Reviews; ‘Together WE Stand’ and ‘Alf’.” New York Times. 22 Sep. 1986: 22. 6 Carmody, John. “The TV Column.” Washington Post. 24 Sep. 1986: D10. 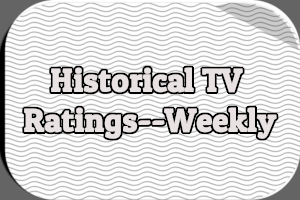 7 Untitled list of Nielsen ratings for the week of September 22-28. The Associated Press. 30 Sep. 1986: AM Cycle. 8 Untitled list of Nielsen ratings for the week of September 29-October 5. The Associated Press. 7 Oct. 1986: AM Cycle. 9 “TV Power Shares.” Advertising Age. 3 Nov. 1986: 81. 10 Carmody, John. “The TV Column.” Washington Post. 3 Oct. 1986: D6. 11 Untitled list of Nielsen ratings for the week of September 29-October 5. The Associated Press. 7 Oct. 1986: AM Cycle. 12 Carmody, John. “The TV Column. “Washington Post. 22 Oct. 1986: C10. 13 Carmody, John. “The TV Column.” Washington Post. 19 Nov. 1986: B8. 14 Carmody, John. “The TV Column.” Washington Post. 12 Jan. 1987: D6. 15 “List of Top-Rated Shows.” Associated Press. 10 Feb. 1987: BC Cyle. 16 “List of Top-Rated Shows.” Associated Press. 18 Feb. 1987: PM Cyle. 17 Carmody, John. “The TV Column.” Washington Post. 25 Feb. 1987: B6. 18 Donlon, Brian. “Winner and still champ – NBC.” USA Today. 22 Apr. 1987: 03.D. 19 “List of Season’s Top-Rated TV Shows.” Associated Press. 21 Apr. 1987: BC Cyle. 20 Carmody, John. “The TV Column.” Washington Post. 15 May 1987: D1. 1 From TV Guide, September 13th, 1986, Page 61. 2 From TV Guide, February 7th, 1987, Page A-56. I had the hugest crush on Scott Grimes and loved the show. Most people don’t even remember it. Thanks for posting this…nostalgia is nice! I only remember this show because of Scott Grimes.. I’ve been trying to figure out the name of it forever! I would love to be able to watch some of the episodes again….